The autumn announcement that a new 69 bed dementia care home was to be built in Wincanton provided good news for the town. The new facility will bring an estimated 80 jobs into the local economy. 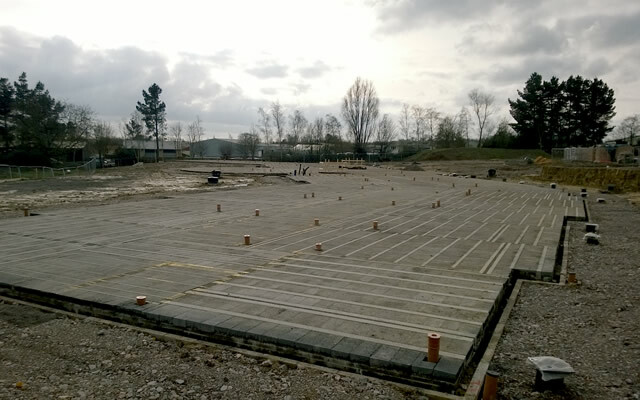 After a successful planning application Waypoints moved quickly, with a team on-site to prepare the ground and lay foundations. This foundational work was completed on schedule by Christmas. After the Christmas holiday period, and through January, there was no visible on-site activity. At a recent Town Council meeting it was stated that the project had been mothballed, but no explanation was given in the meeting. Thankfully the answer has come in the form of a press release from Waypoints, received on 28th January. 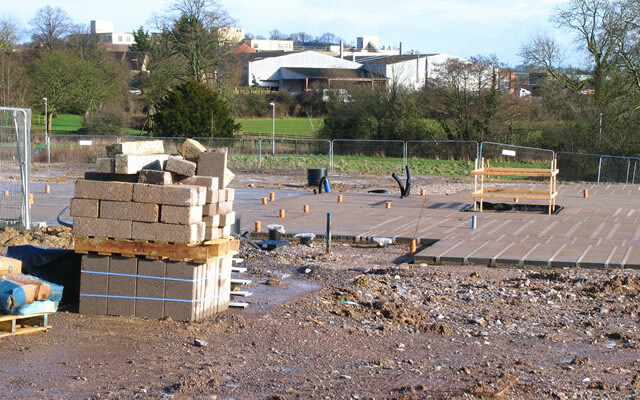 We are pleased to announce that the construction of our brand new 69 bed care home in Wincanton is progressing reasonably well despite the continual deluge of rain since the commencement of the works. Accordingly we have decided to stop all works until further notice, recommencing as soon as the weather improves in the late spring 2016. Many local residents will understand this action because West Hill is known to have multiple springs. On this side of the hill the ground is predominantly heavy clay. With the exceptionally wet winter to date it’s no real surprise that working in those conditions is far from ideal. Andrew later added that staff recruitment should start two to three months before construction is complete d, and that they don't anticipate any problems recruiting the 70 people needed for the Wincanton site. He acknowledged that whilst there is a national shortage of qualified nurses, they only need 8 or 9 qualified nurses for Wincanton, and they have always managed to obtain qualified staff for their other homes.